Do you love chocolate? Whether you like chocolate or don’t have much of a sweet tooth, there is always the chance that chocolate stains can unexpectedly appear on your carpet. However, when this happens, you will be ready for actions with a few do-it-yourself chocolate stain removal solutions from Sun Dry Carpet Cleaners Brisbane – check out our expert guide to removing chocolate stains from carpet; below. Note, before trying any of the methods (outlined) below when you’re wondering how to get chocolate out of a carpet, remember that the longer the chocolate stain sits, the harder it will be to remove it. Like with most carpet stains, the best thing to do is to act quickly. If you see that the chocolate has dried, take the butter knife and scrape off as much of the chocolate stain as you can. After scraping, apply the vacuum cleaner directly over the stain to remove any flakes that may still remain. Then, cover the affected area with a few paper towels. Now, set your clothes iron to the lowest (non-steam) setting possible. Move the clothes iron over the paper towels slowly. This should help the chocolate start to stick to the paper towels. If any dark spots remain, apply a household carpet cleaner to the area and agitate gently with a clean white towel. Use caution to avoid over agitating carpet fibres which might cause damage. Trouble removing your stain? Contact Sundry Now to Find discounts in your area – Limited time only! Call 07 3889 0300, email info@sundry.com.au or full out the form on this page. Another method you can try when you need to remove chocolate stains from carpet is outlined below. If plan 1 doesn’t work out, give it a try. Using a butter knife, try scrape off any remaining chocolate excess from the affected area of the carpet. Be sure to perform this step as slowly and carefully as you can. Next, using some paper towel or clean white cloth, use some carpet stain remover to try and lift (out) the chocolate stain. If there are any remnants of the chocolate stain still visible after performing step 2, then take ¼ teaspoon of white detergent and mix it with a cup of water; that’s around room temperature. then begin blotting the carpet, working from the outer edge of the stain to the inner part. Doing so ensures you’re not spreading the chocolate stain further. 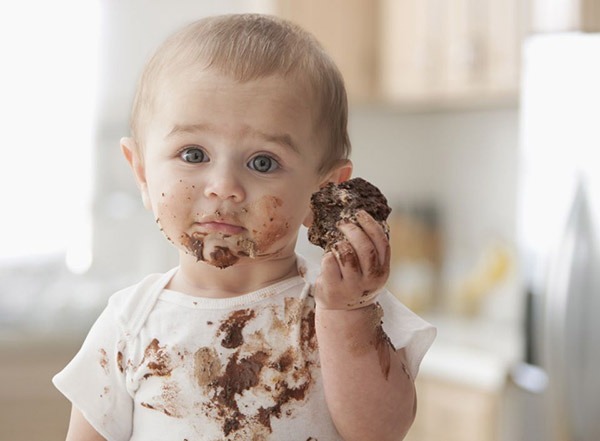 As soon as you discover the stain, remove as much of the chocolate as you can using a butter knife or scraping tool. Run cold water directly over the carpet stain. Using a bit of dishwashing detergent and a clean cloth, rub the stain in a circular motion, then allow it sit for a jsut few minutes. Rinse the area with cold water again and the chocolate stain should disappear. If these above-mentioned at-home solutions are still leaving your carpet a bit stained, consider exploring Sun Dry Professional Carpet Cleaning Services. Don’t forget to ask about our Special Offers. Call 07 3889 0300, email info@sundry.com.au or full out the form on this page.